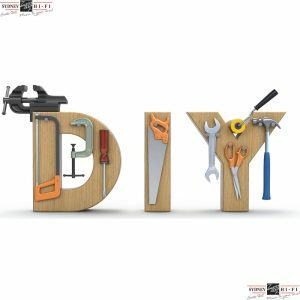 Home / Shop / Building or Renovating? 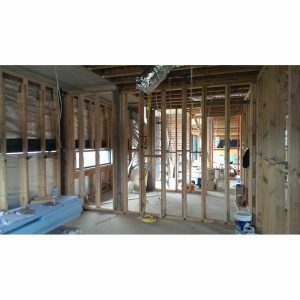 If you are Building or Renovating and have not thought about how your TV's and audio-visual systems can integrate seamlessly into your home GIVE US A CALL! 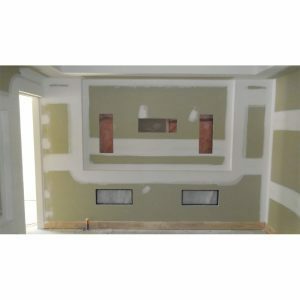 Far too often we visit homes, where no pre-thought, has gone into audiovisual and trying to seamlessly implement a system once the home is finished is either near impossible or very messy and expensive, you can literally save thousands by preplanning your system and running cables in the build/reno stages. 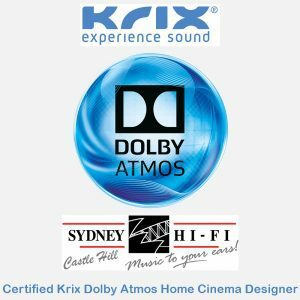 Sydney Hi-Fi Castle Hill has been custom installing audiovisual systems into homes for over 20 years and over this time we come to understand an appreciate what systems work best and get the most use over time, we have listed some key areas around the home where audiovisual is tried and tested. System Design is the most important step in the entire process and is where we take your requirements and build a virtual system with the goal of exceeding your expectations within the budgetary parameters that you have set. 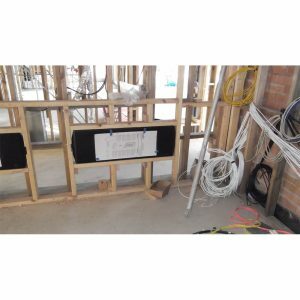 For example, you may buy a "package" from a retailer and have your electrician install it and you may be very happy with it, however, you also do not know what you're missing out on! 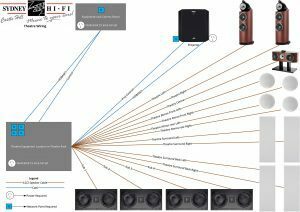 You have most likely purchased a system based on price and not compatibility and you have had it installed by someone that may not be trained in the optimal placement of speakers etc. 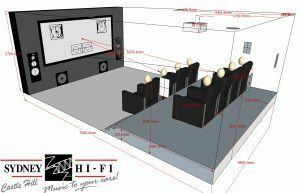 At Sydney Hi-Fi Castle Hill your system will properly be designed by highly trained staff to not only be compatible with your requirements and budget, but each component will also work in harmony with the other to ensure excellent performance and be placed in optimal positioning around the room to guarantee the best performance outcome possible.